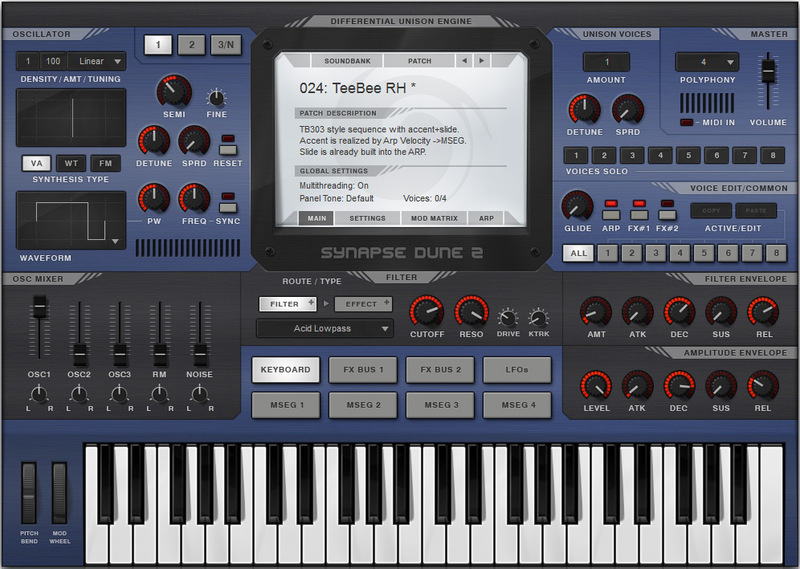 Dune 2, Virtual hybrid synth from Synapse Audio. Product replaced by the Synapse Audio Dune 3. 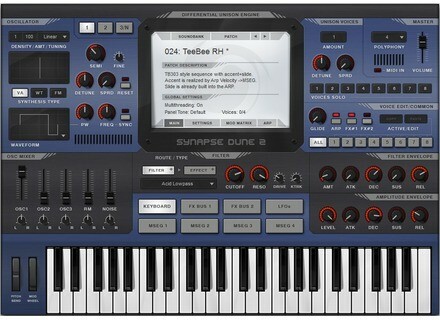 Version 2 of the Synapse Audio Dune hybrid virtual synth has landed for Mac and PC. Synapse Audio explains that Dune 2 has been entirely rewritten, with new oscillators, filters, effects and graphic envelopes. The sound was also improved and Dune 2 offers a wider sonic range. Dune 2 is a VST and AU 32 and 64-bit plug-in for Mac OS X and Windows. It is available for $169 but users of v1 can purchase an upgrade for $79. Note that v1 and v2 are not compatible with each other but can run in parallel on your computer. Synapse Audio even offers a bundle with both versions of Dune for $198. Last, you can listen to demos and download a trial version of Dune 2 at www.synapse-audio.com. FL Studio Groove now supports MIDI Image Line has updated FL Studio Groove to version 1.2, in order to add MIDI controller support, among other new features. Sample Modeling launches a Flute collection Flutes the new Sample Modeling sound library, gives you the opportunity to use four instruments in the SWAM sample player. Cakewalk updates the Z3TA+ App Cakewalk has released version 1.1 of its Z3TA+ synth for iPad, an update that focuses on MIDI.